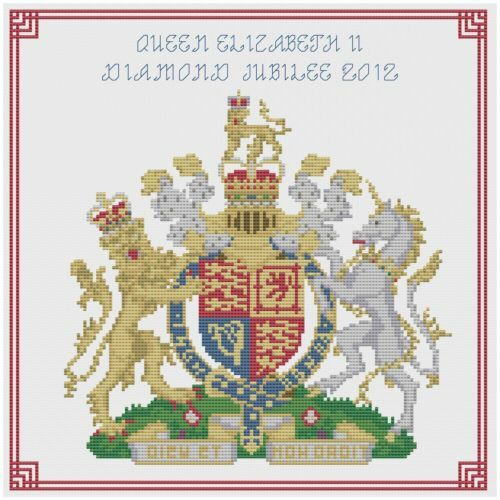 Some more cross-stitch designs and samplers with Diamond Jubilee themes have come to my attention. After their Happy and Glorious design (which I've already blogged about) Riverdrift House have released the first of a Diamond Jubilee foursome, each one with a Royal building as its design focus. 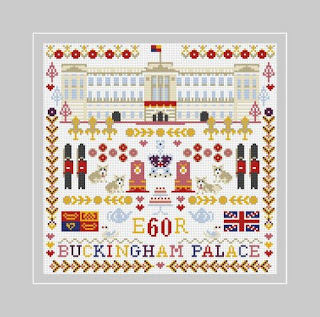 This one is Buckingham Palace. 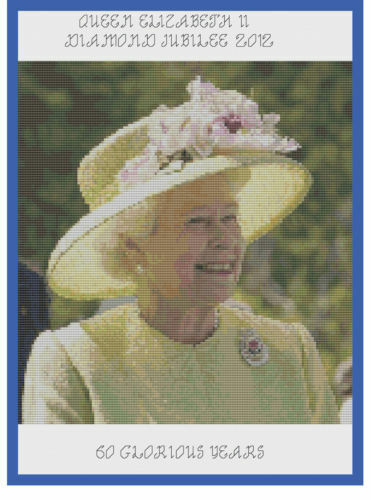 To come are Windsor Castle, Balmoral and Sandringham. 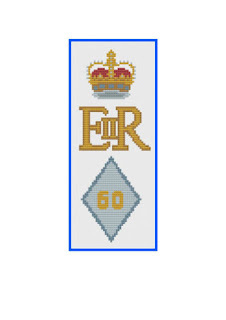 I'm guessing this is the foursome mentioned on the website, four individual designs on 14 count (on which the designs measure 10in square) and then later issued as a single sampler on 18 count. Find this on eBay or through the Riverdrift House site. 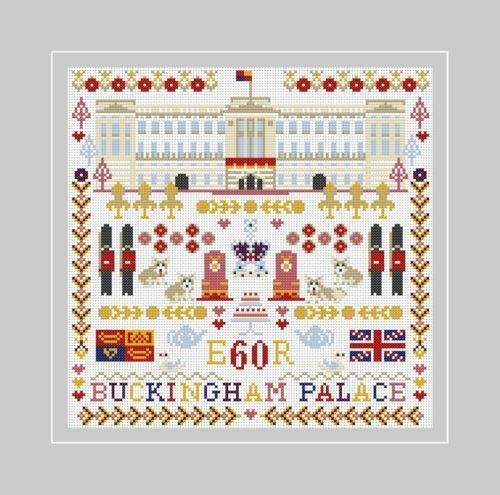 Florashell did at least one royal wedding design last year, and they have three designs available as kits to celebrate the Golden Jubilee. 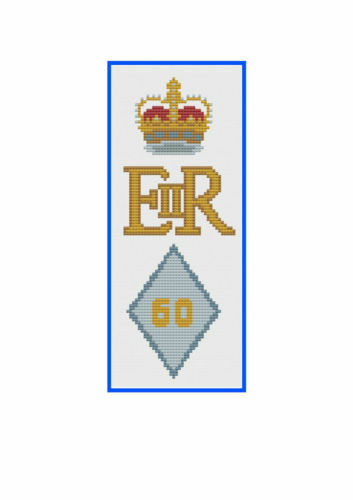 One of which uses what looks like the same royal coat of arms design, but with different wording (and a font I'm not especially fond of, it's a tad ditsy for my taste). They also have a little quickie design, and a detailed portrait of the Queen. Probably available in shops, but you can also find them at the Florashell eBay shop.